The report details an exhaustive account of the global neotame market along with numerous associated factors. Some of these that are included in the report are drivers, restraints, competitive analysis, latest trends and opportunities, geographical outlook, and many other aspects. The study covered in the report spans a forecast period from 2018 to 2028. From an overall perspective, the report is expected to exist as a valuable insight to businesses which are already operating in the neotame market, as well for those who intend to newly establish themselves in this environment. The global neotame market is mainly segmented on the basis of applications and regional spread. From the perspective of applications, the market is divided into segmented such as food & beverages industry, pharmaceutical industry, cosmetics industry and agriculture/animal feed industry. 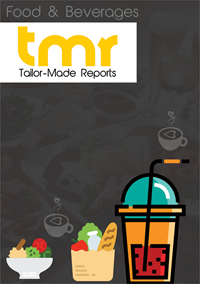 Among all these segments, the food and beverages segments holds a leading edge over the others, in terms of revenue earned and sales volume generated. The food and beverages application category can be further sub-segmented into beverages, confectionery, bakery and other food products (candies and chewing gums). However, compared to the food and beverages segments, the market is expected to depict an impressive growth in the cosmetics and pharmaceuticals segment too, in the near future. A primary factor driving the global neotame market involves extensive use of this artificial sweetener in a plethora of foods and beverages. This in turn has caused an increase in demand of such products from the consumers’ perspective. Neotame is less available at less costs, as well is highly efficient when it comes to preserving foods, which further makes food manufacturers prefer using this sweetener type. Moreover, use of neotame is approved by most food administrations all over the globe, which also has led towards the market to expand at a rapid pace. Moreover, neotame offers benefits such as low rate of accumulation in the body, and gets metabolized fast, which helps in its rapid elimination from the body. Thus, manufactures prefer using this sweetener compared other types. Moreover, this substance is available in a powdered form and offers extensive flexibility to manufacturers, majorly in terms of transportation from place to place. The report describes more of these trends and covers the market potential in great depth. Region-wise, the global neotame market is spread across North America, South America., Euroep, Asia Pacific, and the Middle East and Africa. Of these, a maximum demand for neotame products occurs in Europe and North America, owing to a vast presence of food and beverages industry in these regions. However, rapid establishment of key players in leading countries such as Japan, India, and China from Asia Pacific is expected to make this market depict a rampant growth in these region during the upcoming years. The global neotame market mainly depicts the existence of a highly fragmented and competitive vendor landscape, majorly due to the presence of innumerable players. Bringing about widespread product innovations for overall development is a prime strategy implemented by most businesses working in this market. Most businesses have been present in this market for numerous years, and have relied on strategic mergers & applications as a key tool for attracting success. However, most local players experience a substantial cutthroat competition due to the larger and bigger players operating in the market. Sweetener India, Foodchem International Corporation, Shaoxing Marina Biotechnology Co.,Ltd., Sweetner Holdings, Inc., A & Z Food Additives Co., Ltd., Fooding Group Limited, JJD Enterprises, H & A Canada Inc., Prinova Group LLC, and Jk sucralose Inc., some of the key players operating in the global neotame market.